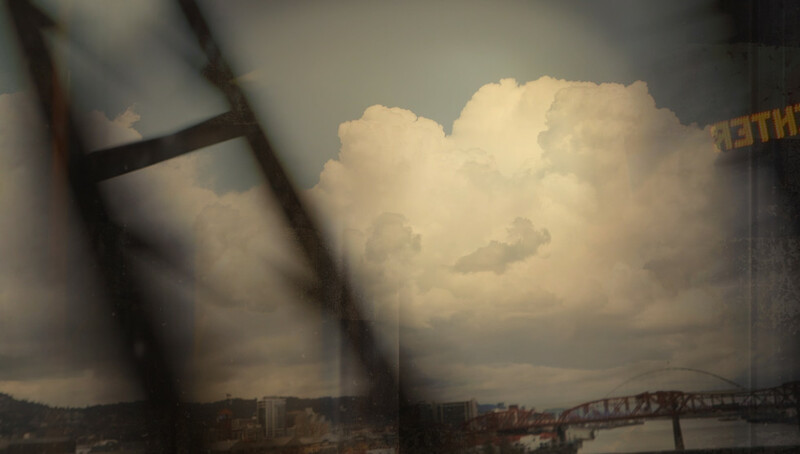 Studio A.B will be open for the first Friday artwalk, and again on Friday April 17, from 5 to 8 pm which is the opening reception of the new series of “screen captures” by Bruce Bayard. Screen captures are still images derived from the video collage projections as part of a mixed media performance. One such performance occurs the following night, Saturday, April 18 at the Dancespace in Ashland. Tickets are $10 and seating is limited. 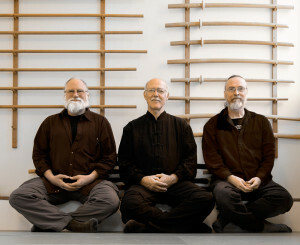 Todd Barton, Bruce Bayard and Darrell Bluhm present an evening of improvisational multimedia performance. The event includes quadraphonic sound, music on two Buchla Easels, video projections, and three martial arts forms including Tai Chi Sword. Todd Barton, Darrell Bluhm and Bruce Bayard perform Transmissions I at the DanceSpace April 18, 2015.